Several polls were just conducted about upcoming Louisiana campaigns, specifically the Senate challenge to incumbent Mary Landrieu (D) and the new House special election for resigning Rep. Rodney Alexander’s (R-LA-5) seat. 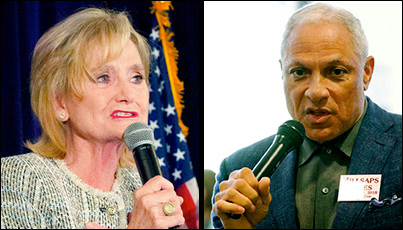 Two pollsters went into the field to test Sen. Landrieu and Rep. Bill Cassidy (R-LA-6). OnMessage, conducting an internal poll for the National Republican Senatorial Committee (Aug. 12-15; 800 registered Louisiana voters), found the senator to be leading the congressman by just a 45-41 percent count. Party loyalty is strong for both candidates. Sen. Landrieu captures 77 percent of the Democratic vote, while Rep. Cassidy seizes 72 percent of the Republicans. In what could be a looming problem for Landrieu, Independents already break 41-37 percent in favor of Cassidy. Meanwhile Harper Polling, during the same time frame (Aug. 14-15; 596 registered Louisiana voters) reports even better numbers for Republican Cassidy. According to HP, the Baton Rouge congressman enjoys a 47-45 percent advantage over the senator.